I am absolutely obsessed with Luxulite and her fabulous jewelry. 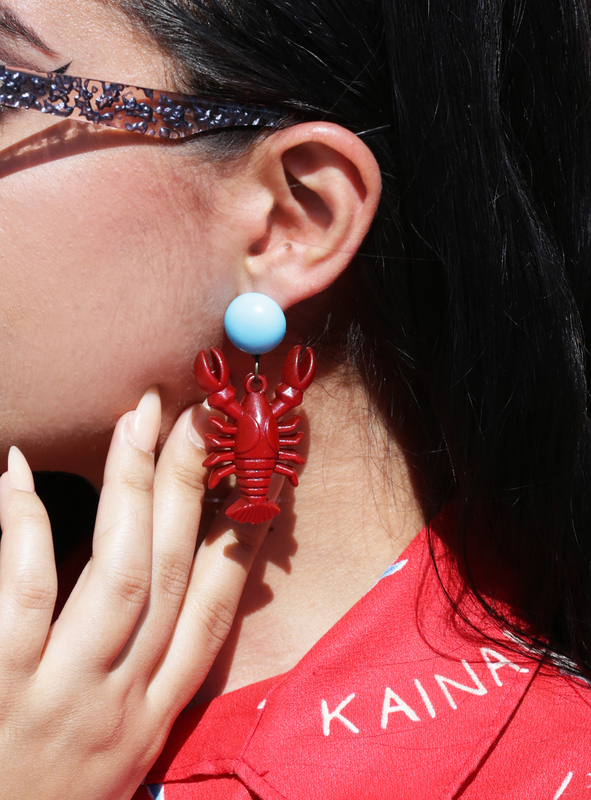 Just recently she released a Lobster collection that I absolutely had to have and I wasted no time getting my hands on a few pieces, particularly these awesome lobster earrings. There is a necklace that matches and even a brooch but I didn’t want to wear them all together. 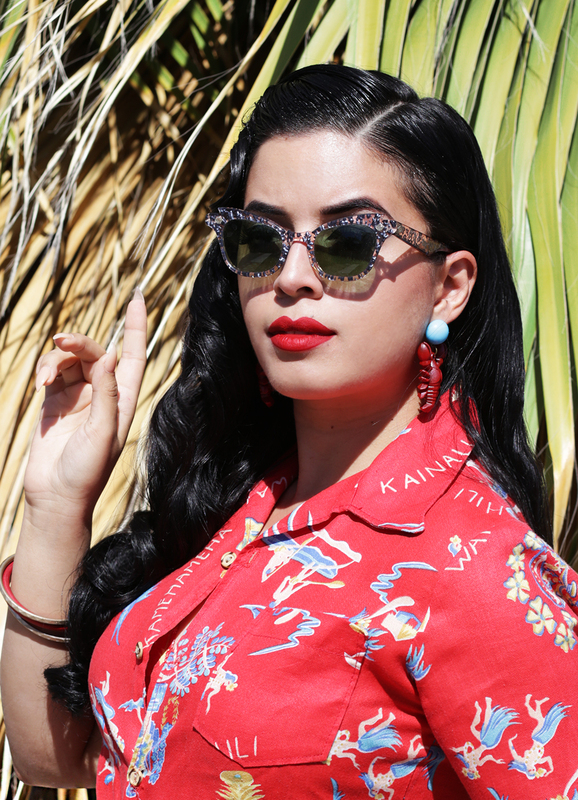 I apologize for not having a pic of my entire outfit but lets be honest, my vintage top, cat eye sunglasses, and Luxulite Lobster earrings steal the show anyway! These earrings will soon be available on PinupGirlClothing.com. Love them and you wear them well. Lovely as always. where did you get those sunglasses? They are vintage. Can’t remember which thrift store I bought them from.